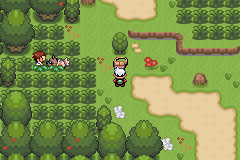 Hey there everyone, I’m Linkandzelda, you may know me from Pokémon: Liquid Crystal and being the webmaster here. Well, let’s get into it. 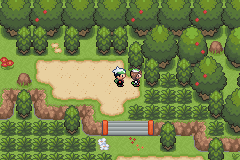 I don’t like to admit it, but I enjoyed Pokémon Emerald back when it was released on the GBA. I don’t know if it was just that point in my childhood or something else, but I did like it. 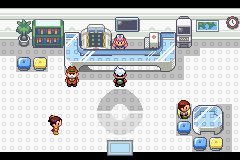 However, it has a number of major flaws which I’d like to attempt to address through this hack, Pokémon: Emerald Dreams. This hack began development around 2 years ago when I decided to extend the LC Trilogy with 2 spin-off hacks, and this is one of the spin-offs. However, I originally wanted to wait until LC was finished before I released anything, but I decided that if I waited too long it might be too late. 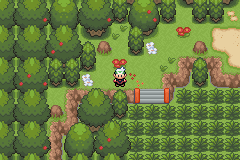 So, I present to you Pokémon: Emerald Dreams. 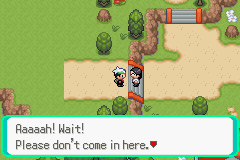 The hack will use Pokémon Emerald as the base ROM (hehe, emerald remake on emerald? xD). 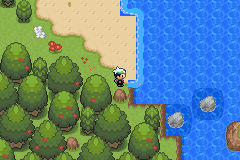 It’s a complete remake and overhaul of the original Pokémon Emerald. The story line will be closely linked to the original story, however there will be changes and additional events. 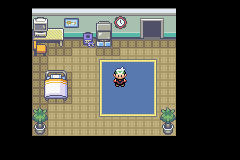 This hack is also a part of the LC Timeline, and acts as a prequel to the events that happen in Pokémon: Liquid Crystal. The following image shows how the LC timeline is laid out. I plan a lot of features for the game, but here are some of the main ones I’ll list. 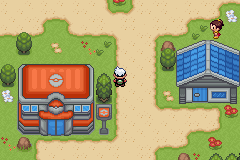 That’s right, I’ll be completely remapping Hoenn into my own style of map to give it a fresh touch. 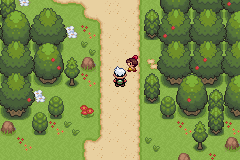 In addition to that, all the tilesets and palettes will be recreated to give a completely new look to the game. 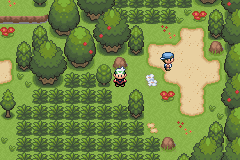 I think we can all agree, Pokémon Emerald had the worst graphics ever, and it’s time to change that. 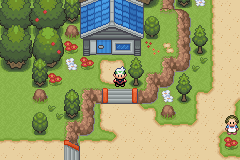 All the Gyms and Caves and Forests and other areas have been completely remapped and redone giving an updated feeling of exploration. 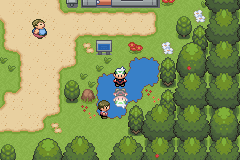 Everyone hated the OW sprites in RSE, me included. So, Emerald Dreams will feature a whole set of new custom OW sprites. Fresh new music remixes of classic Hoenn songs with new sound fonts and instruments. 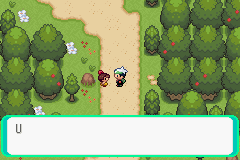 This is something I plan to do, is to remake the entire dialog of the game to be completely new and original, yet still on the path of the original story line to some extent. The current version doesn’t have this feature implemented yet. 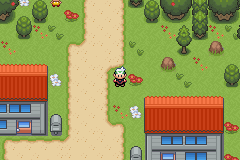 A whole new set of custom Pokémon Sprites will be created and fully animated. 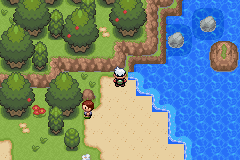 Every Hoenn map will be recreated, which means there’s now new hidden areas to explore and uncover, from caves to diving spots. Below are a set of signature banners you can add to your signature on here and other forums to show your support. If you have a question to ask, there’s a chance it’s been answered here. 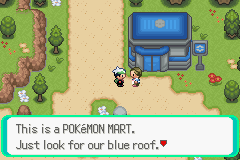 Q: Will this work with an existing Emerald save? A: No, due to the changes structure. 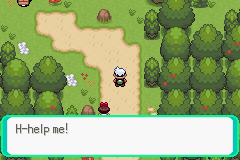 Q: Can I trade and battle with other games? With every hack comes some form of bug or glitch. Below are the current bugs and glitches you can expect to encounter in the game. 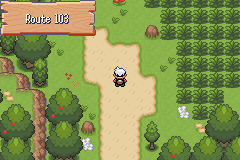 The current version is Alpha 1 showing a proof of concept of the hack in action. 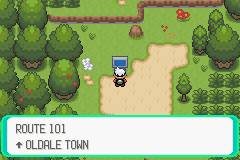 Included so far is a new tile set with the first few towns remapped. None of the new OWs, Music or other extras are currently done. I wanted to get this released so people can check out the current progress and get an early feel of what to expect in the future. For those that are not familiar with what it is or how it works, I basically keep a build number record of each iteration or change/addition with comments stored on the Live Beta history page. You can check this to see what was done where and also to find out the latest build. 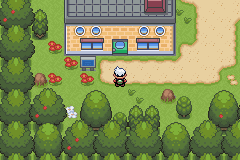 To check the build number of ED, you can check the note attached to the tree inside the players house. Each time I work on the hack and add/fix stuff, this number in increase, and you can download the latest version from the link in the first post. 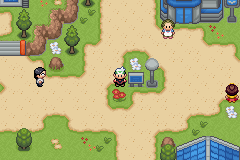 To check the history, you can visit http://www.pokemonhackersonline.com/ed/livebeta/ to see the changelog. I'll also post about the major updates here. Adverts exist before the download to help support development. Throughout development there's people I'd like to credit and say a special thanks for. Ray Maverick, Alucus, Alistar, Kyledove and Zein: Most of the main outdoor & cave Tiles. I hope you enjoy the current release, any and all feedback on the game is welcomed. If you have any suggestions or questions, feel free to ask here in the thread.